Posts on Google+ generate nearly as much engagement per follower as Facebook posts, and almost twice as much engagement per follower as Twitter posts. After several months of pre-release brand testing, Google made +Post ads available to the public last week. Google says +Post ads “amplify your content and create conversations across the Web” with comments, shares and +1s driving engagement. Shared posts are completely interactive, meaning users can engage with content from third-party sites. A recent survey of 60,000 people by Forrester Research found the same amount of people who visit Twitter each month also visit Google+ (22 percent), and that Google+ visits top LinkedIn, Pinterest and Instagram. What’s more, Google+ provides more opportunity for brands than other social networks. “Brands’ Google+ posts generated nearly as much engagement per follower as their Facebook posts — and almost twice as much engagement per follower as their Twitter posts,” wrote Forrester’s Nate Elliott. Match your message to the right people, in the right place across the Web. Reach the audiences you care about with Google Display Network tools including demographics, affinity segments and contextual targeting. Make your content work on every screen — desktops, tablets and smartphones. Quickly turn posts into ads that scale across the Web, and pay only when people engage with your brand’s content. This engagement can continue after your ad campaign ends, as people discover your posts on Search and Google+. Toyota, one brand that invested early in +Post ads, sees year-over-over growth in direct correlation to the content it posts. 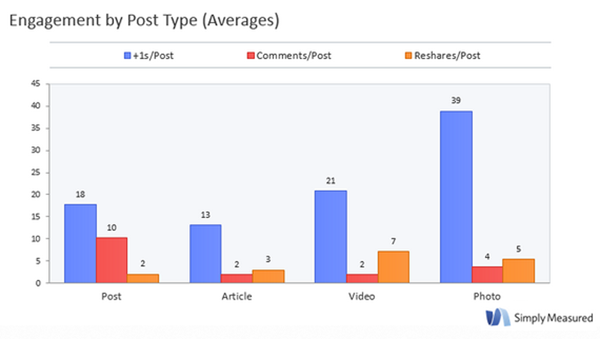 The chart below by Simply Measured shows how the brand’s content preformed in +Post ad tests. “When you advertise with +Post, you not only get an ad placed within the Google+ network, you get your social post placed throughout Google’s entire display network. That means access to ad space on over 2 million sites worldwide, and the ability to drive engagement with an interested audience, no matter where that audience spends their time,” wrote Lucy Hitz for Simply Measured. Elliot said that brands are having a tougher time reaching Facebook users without paid campaigns and that top brands have about 90 percent as many Google Plus fans as they have Twitter followers, on average. The brands in the Forrester study have more followers on Google+ than on YouTube, Pinterest and Instagram combined. 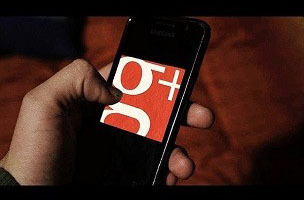 The report also found that Google+ fans engage more with brand posts than they do on Twitter. “If you’re not actively marketing on Google+, it’s time to start,” said Elliot.